How cute!! (and ingenious I might add) :o) I'm sure he'll love it. What a cool background too. Your tie dye turned out great, Kathy. 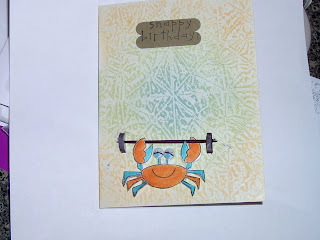 I love the card and the barbells are so clever. Wow!!! You are awesome.